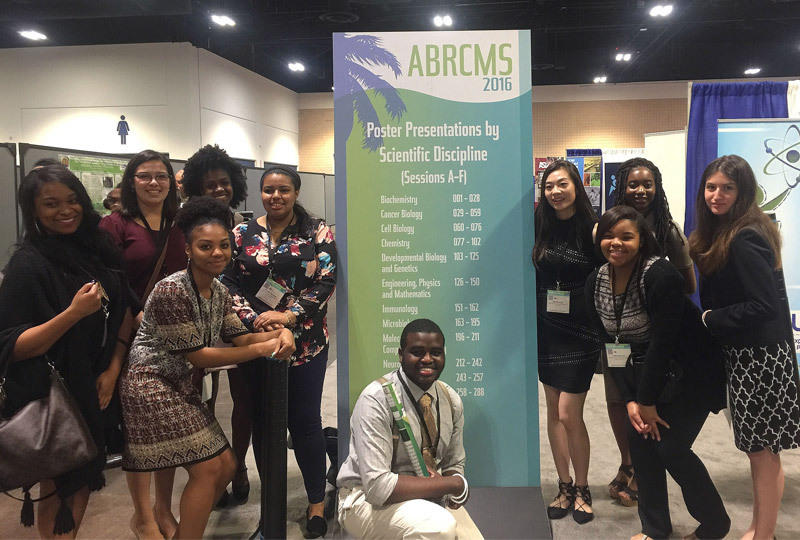 For students in the biomedical sciences, attending conferences is a chance to share ideas and research experiences with colleagues from across the country, while learning about educational and career opportunities and building identities as scientists. Outcomes from student conference attendance may also help us to learn how students build and maintain scientific identities. 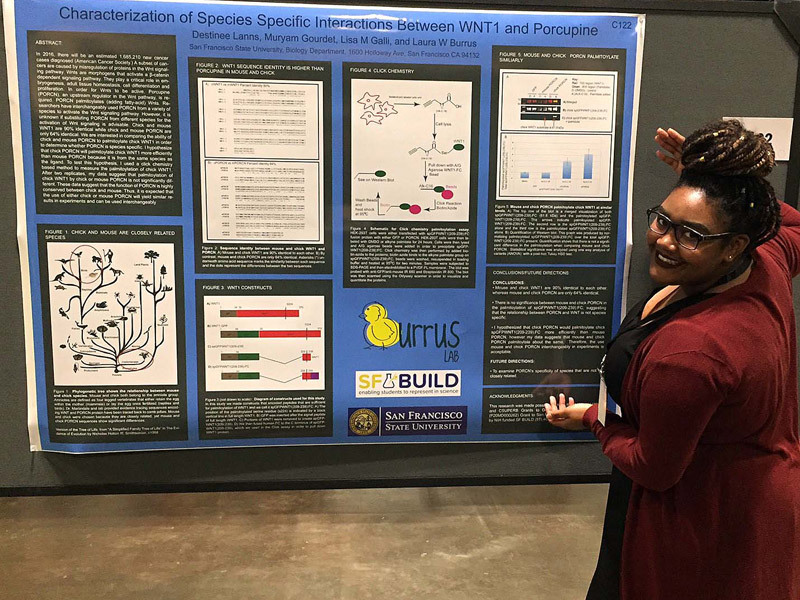 At conferences over the past two years, we have witnessed undergraduate trainees from the more recently-established Building Infrastructure Leading to Diversity (BUILD) program joining colleagues from long-running NIGMS-supported grants, like Research Initiative for Scientific Enhancement (RISE) and Maximizing Access to Research Careers (MARC). Since BUILD is a fairly new program, it’s been great to see how quickly its trainees have embraced the opportunities conferences have to offer, from simply meeting other program trainees and sharing stories about their research to making valuable networking connections. BUILD, established in 2014, is a component of the Diversity Program Consortium (DPC), which also includes the National Research Mentoring Network (NRMN) and the Coordination and Evaluation Center (CEC). The DPC is part of a broad, trans-NIH strategy to address new ways to promote diversity in the biomedical research workforce. 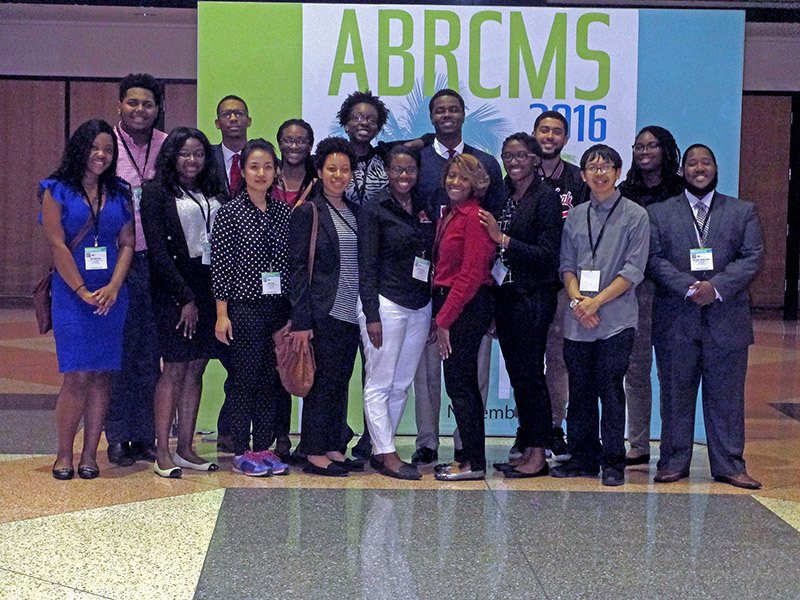 In recent years, BUILD trainees have been in high attendance at the NIGMS-supported Society for Advancement of Chicanos/Hispanics and Native Americans in Science (SACNAS) conference and the Annual Biomedical Research Conference for Minority Students (ABRCMS) . 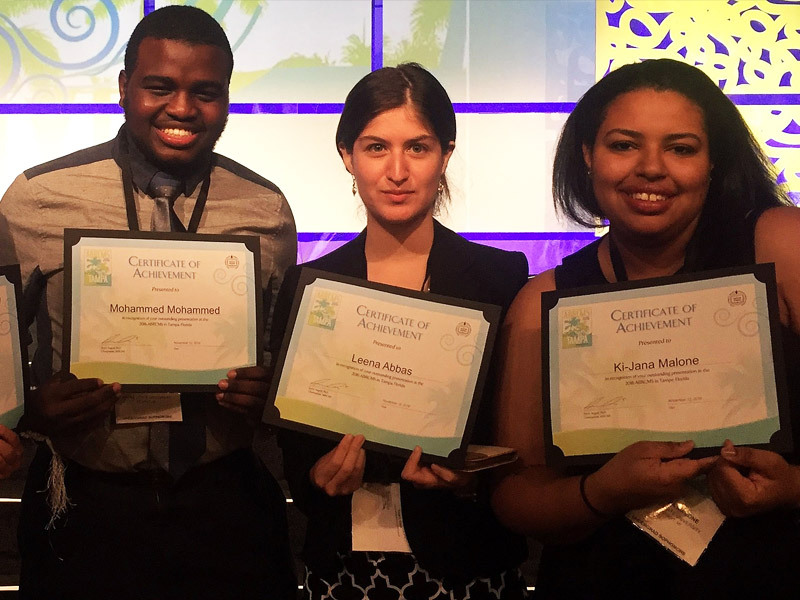 These conferences focus on broadening participation in biomedical research and introduce students to groundbreaking scientists. During the BUILD networking sessions at both meetings, we heard students’ stories about their research and programs. We also had the opportunity to witness an element of students developing scientific identities—trading business cards. 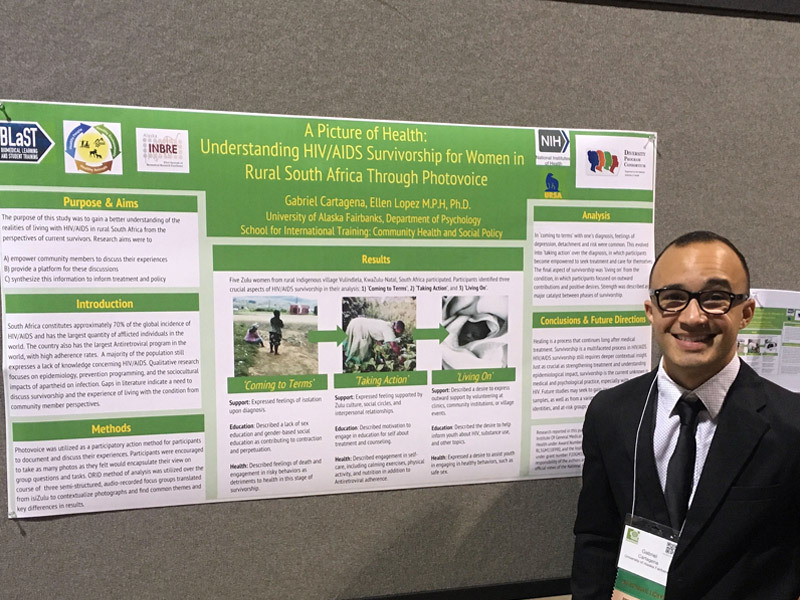 Many BUILD students also made presentations on their research at the 2016 SACNAS and ABRCMS meetings, and eight of them received awards for posters and oral presentations. 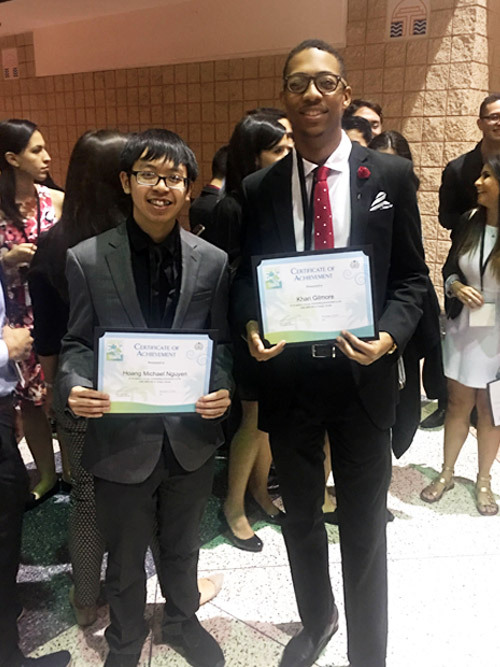 These awards are based on a variety of criteria, including knowledge of a subject area as well as experimental design. 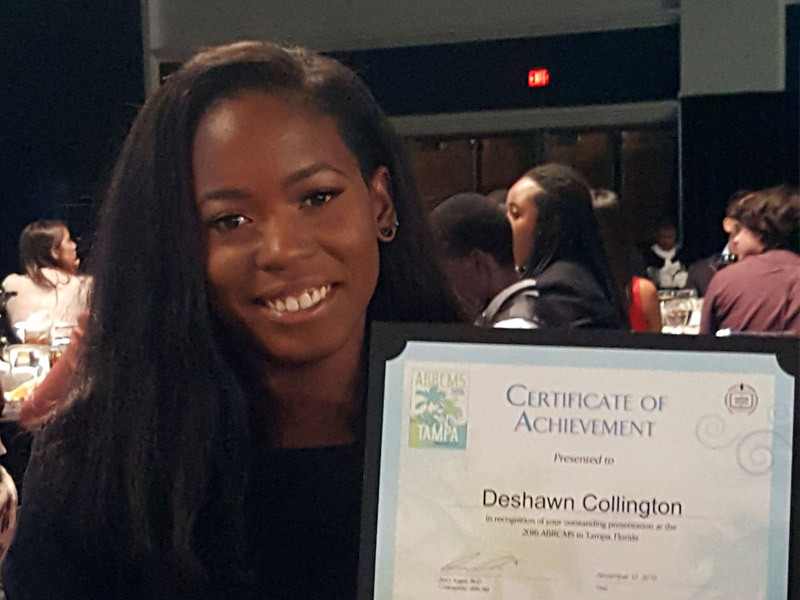 Because the DPC’s BUILD programs introduce undergraduate students to research through hands-on lab experience, it’s great to see that students are sharing their research findings, taking part in poster sessions and being recognized for their efforts. 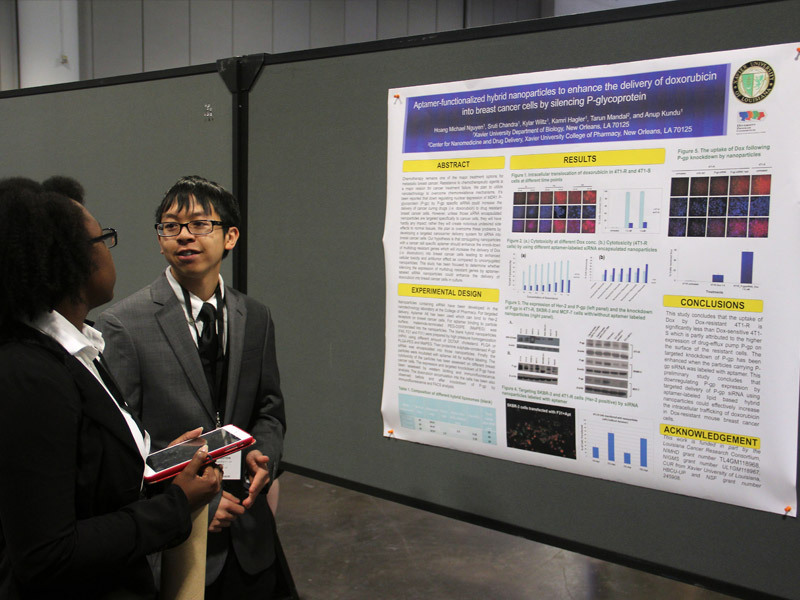 Students’ interactions during networking sessions and scientific presentations complement another DPC goal: providing role models and mentors to students from a wide variety of backgrounds. 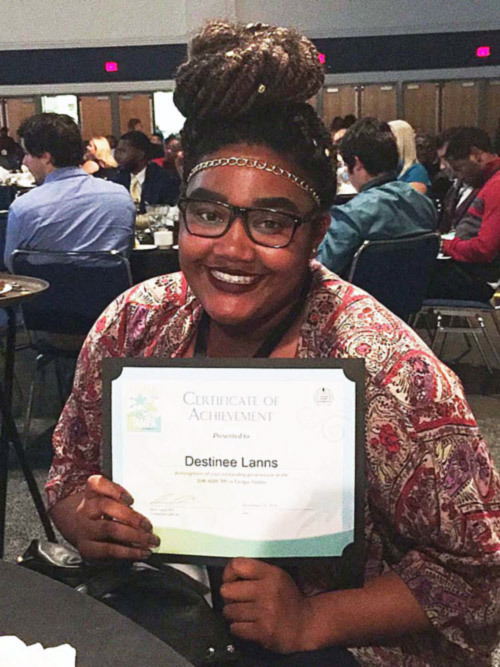 Because evaluating program outcomes is integral to the DPC, we are evaluating whether these kinds of interactions help students persist in science careers and develop identities as scientists. It is our hope that what we learn from DPC interventions—such as promoting conference attendance among students—can be scaled to fit a larger audience and benefit students in other training programs.